Singapore may be a tiny city state filled with glitzy malls, but there are also tonnes of children-friendly activities here. Just last week, my friend and I went on a perfect play-date for our three pre-schoolers aged between three and six. We wanted a weather-proof option, one that could cater to the diverse interest of our three boys, and one that could engage them for as long as possible (moving three young children around is hard work!). 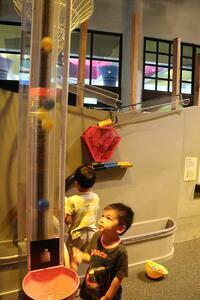 The Science Centre KidsStop ticked all boxes. 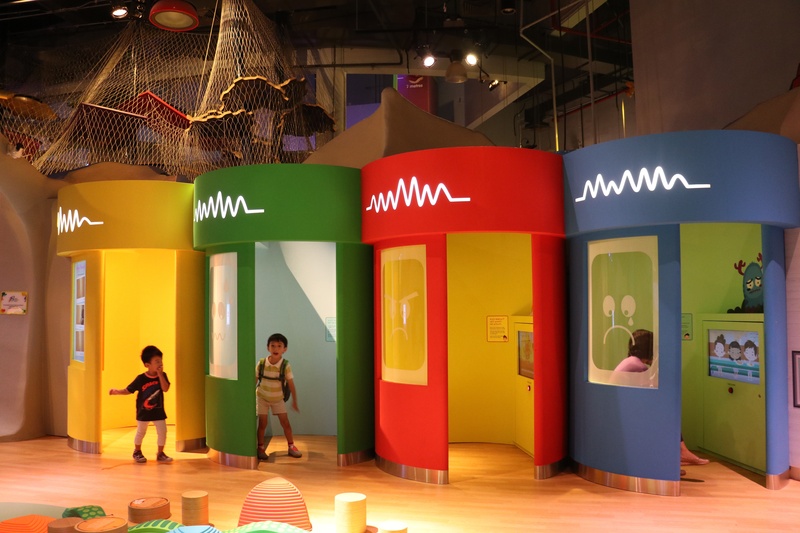 It caters specifically to children from 18 months to eight years of age, and it has different stations with hands-on experiences for children to engage in scientific explorations while having lots of fun. Bonus points – that KidsStop was really educational, very affordable at $5 per child during off peak timings, and there is a cafe right outside the entrance! Built Environment. Here, they experimented with kinetic energy by creating their own gear system that would make a clock chime, and brought colourful balls to the top of the wall by a conveyer belt then watched how they rolled down the different pipe systems they created on a large magnetic wall. Why we loved it: Children are born scientists and researchers. They were captivated by these experiments, while engaging at length in trial and error – a fundamental problem solving technique. While having fun and marvelling at their own creations, they were unknowingly learning about cause and effect based on their own manipulation of objects. 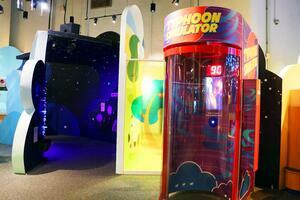 Dream Climber, Giant J and Typhoon Simulator. These 3 were the most thrilling experiences suitable for adventurous spirits (both adult and children!). 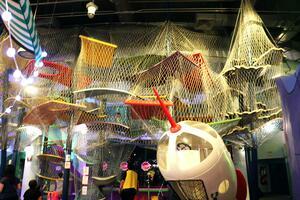 The Dream Climber is an extensive suspended playground that the children had so much fun with. The Giant J let them experience free-fall sensation from an almost 7m high J-shaped slide. And using wind speeds that go up to 120km/h within an enclosed area the size of a phone booth, the Typhoon Simulator let them experience what a typhoon feels like. Why we loved it: These experiences allowed our young ones to be challenged physically, to take risks, to assess danger, and to develop confidence to lead their own adventures. All while being safe and age appropriate so the mummies had nothing to worry about. short clips that helped them identify and understand the different emotions they face at home and in school, such as sadness, fear and anger. Just like the Pixar film Inside Out! 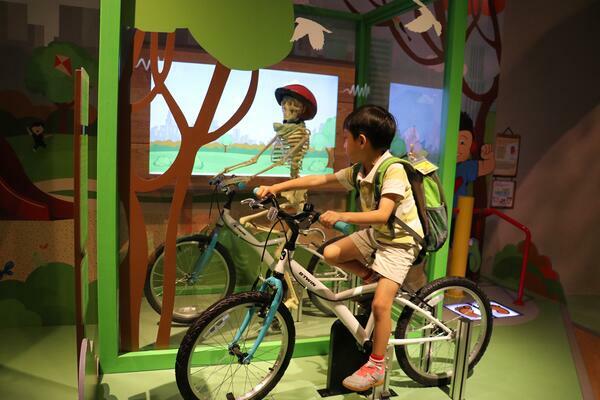 They hopped onto Cycle with Sally, which let them visualise their own skeleton riding a bicycle. They learnt how to recognise the Healthier Choice Symbol, a logo used in Singapore on food packaging to indicate that it’s a healthier option, and shopped at the “supermarket” where they put together a balanced meal. 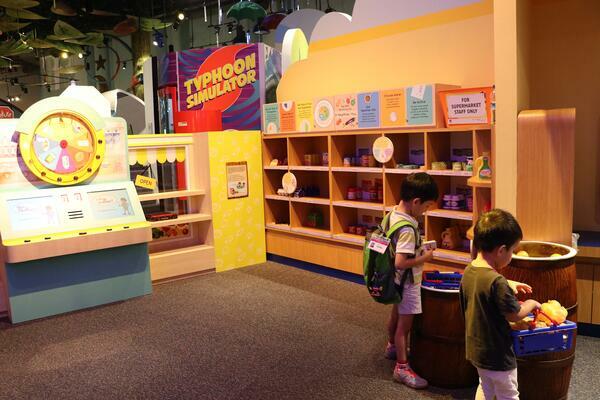 Why we loved it: This section taught our children how to make informed, healthy life choices through fun and educational activities! What’s not to love? After all, healthy bodies and minds should never be taken for granted and an appreciation of healthy living should start at an early age. Don’t buy the wrong tickets. 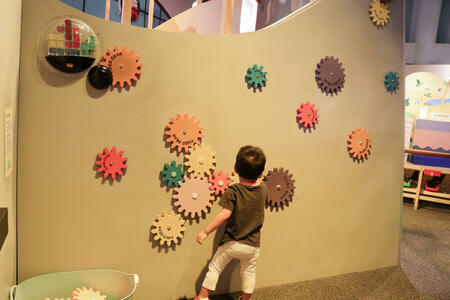 KidsStop is designed specifically for pre-schoolers and is a different space from the Singapore Science Centre. Tickets are separate. If you’re going by car, the carpark and drop-off point is the same area as Snow City/OmniTheatre – not the main entrance of the Singapore Science Centre. Take note of timings. There are two specific sessions: 930am to 130pm, and 2pm to 6pm. Tickets are for one session only. That means if you enter at 1245pm, you’d have to leave at 130pm. It is best to go closer to the start of the sessions. Keep exploring towards the back of the centre. 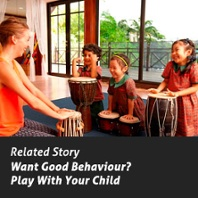 There is a corridor towards the end that is hidden from sight with more exhibits and fun activities, including getting up close to small animals, creating your own music videos, and brain teasers guaranteed to leave the children wide-eyed.